Rapidly becoming buried in the midst of Silicon Valley development, the house looms over commuters on I-280 as they inch through traffic. For decades, it has been touted as one of the most haunted sites in the world, though now the tours of the San Jose mansion downplay the ghostly activity. Instead, they choose to focus on the architectural marvels and the late Victorian/early Edwardian decor. 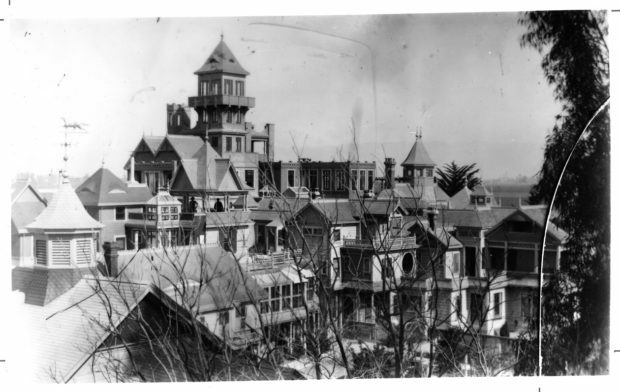 Some say original owner Sarah Winchester kept construction going because she had wanted to be an architect; others say that she herself was haunted by the ghosts of those killed by her late husband’s product — the Winchester Rifle. Directors Michael and Peter Spierig are going with the haunted thing for their upcoming thriller Winchester. 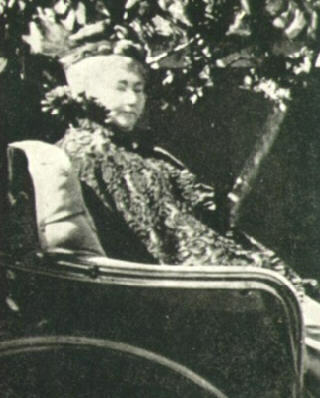 At least, the script by Tom Vaughan describes Sarah Winchester as “…convinced that she and her family were haunted by the souls killed at the barrel of the infamous rifle.” Whether or not it was all in Sarah’s mind, she did have construction going on her place 24 hours a day, 7 days a week. At the Cannes Film Festival today, the Spierigs announced who plans on being their Sarah Winchester: Helen Mirren. It’s a cool choice, and a bit of Hollywood glamour for San Jose. 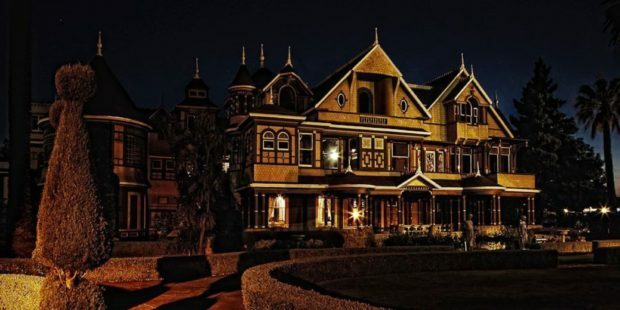 Though the press release does not mention if they plan on filming at the actual Winchester Mystery House, it’s going to bring attention to what is at the least a really beautiful landmark. Is it haunted? Time Magazine says so, but that makes for good clickbait, doesn’t it? Check out the attraction’s website here and decide for yourself.